You’ll love how easy it is to make a cake in the Instant Pot pressure cooker! 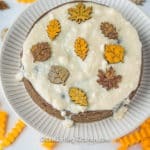 This Instant Pot Pumpkin Spice Cake is gluten-free and vegan, with seasonal ingredients and flavor. Can you believe that you can make a cake in the Instant Pot pressure cooker? I KNOW. It took a few rounds of testing to get it just right, but this Instant Pot Spice Cake is a winner! I did have to buy a special cake pan with a removable bottom just for this recipe, but I’ve already made a few different versions of my Instant Pot cake, so it was worth it. I fully admit that the texture isn’t exactly the same as a traditional cake, it’s not nearly as fluffy. The texture of an Instant Pot cake is more of a flourless cake, much more dense and moist, but totally yummy! The steps to making an Instant Pot cake are similar to those of making a regular cake you would bake in the oven, with a few exceptions. You’ll need a couple of long (15 inches at least) foil that you will fold to make “handles” for your cake pan. This will allow you to manage the cake pan easier when you’re taking it in and out of the Instant Pot. 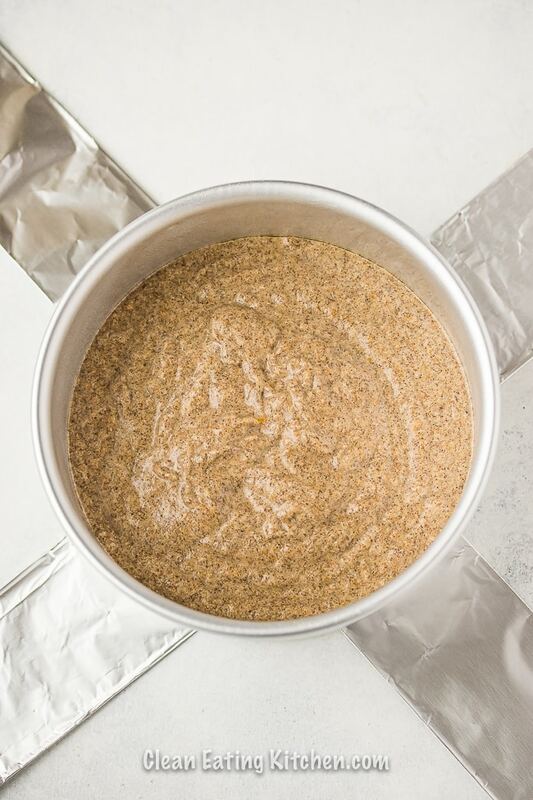 As with making a regular cake, you just combine and stir together your wet and dry ingredients, and pour the patter into a lightly-greased cake pan. You only need 15 minutes cooking time in the Instant Pot at high pressure to bake your special little cake. Let the temperature come down naturally after the cooking time is complete, and then remove the cake! The cake will need to cool some more after removing it from the Instant Pot before you can cut it. Then, when it’s at or around room temperature, it’s ready to eat. 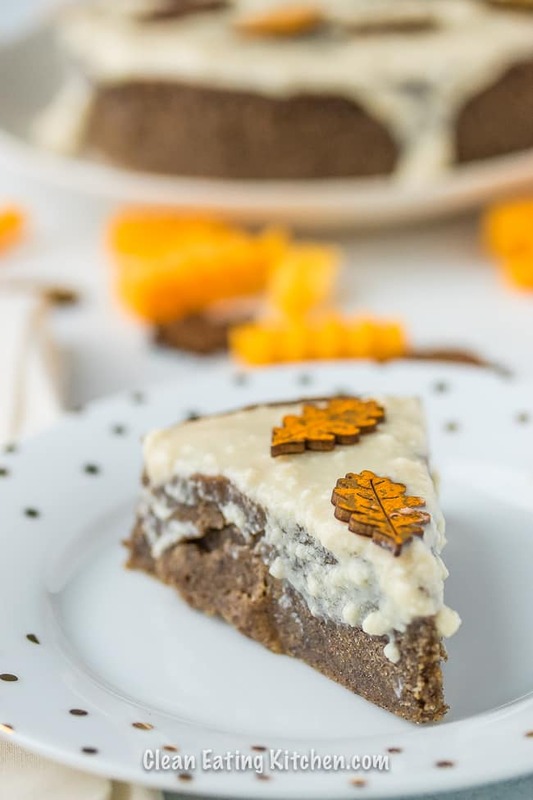 I kept this recipe super simple, using buckwheat flour, pumpkin puree, almond milk, vanilla extract, pumpkin pie spice, melted ghee (use coconut oil to keep it vegan), and maple syrup to give it a holiday flavor. I tried it once with an egg and once without, and didn’t notice any big difference in the result. So, I decided to leave it out in the final recipe. I described how I made the aluminum handles above, but this is what they look like. The handles just make it so much easier to get the pan out of the Instant Pot. I used my 6-quart Instant Pot, and it was a perfect fit! The final result turned out so great, and I hope you love this recipe as much as I loved testing (and eating) it. 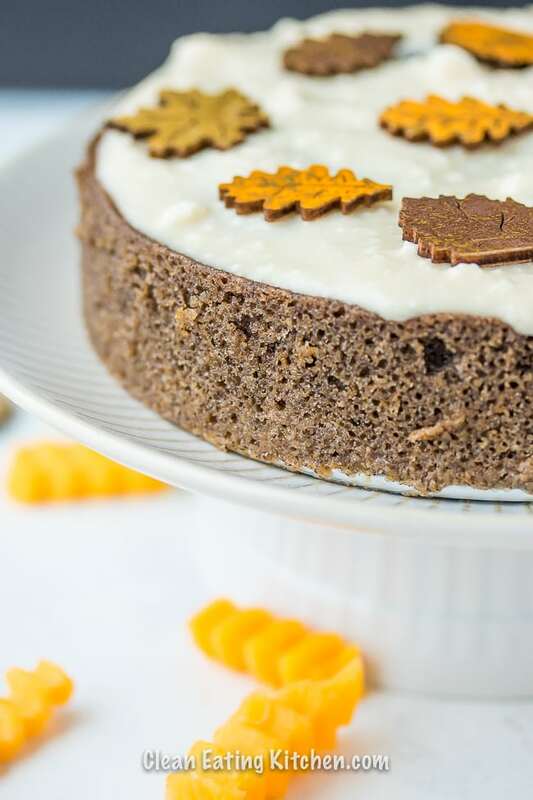 If you like this Instant Pot Pumpkin Spice Cake, you might like these other healthy Instant Pot recipes! This gluten-free, vegan cake is made in the Instant Pot! 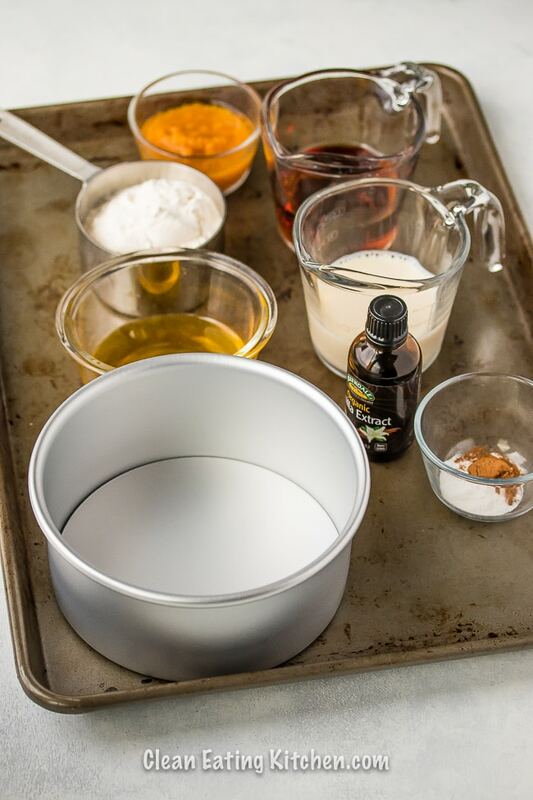 Spray your cake pan with non-stick spray and set aside. Set the trivet into your 8-quart Instant Pot and add 2 cups of water. 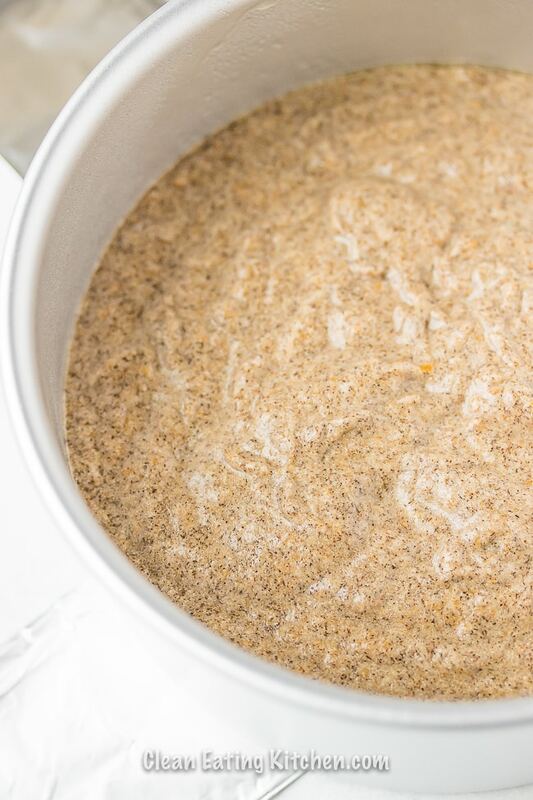 Combine the buckwheat flour and baking powder in a medium mixing bowl. Add the butternut squash or pumpkin puree, almond milk, vanilla extract, apple cider vinegar, pumpkin pie spice, maple syrup, and melted ghee or coconut oil. Use your foil handle to gently lower the cake pan onto the trivet. Lock on the lid and set the Instant Pot to high pressure for 15 minutes. Once the cooking time has completed, let the pressure come down naturally for at least 15 minutes. Remove the lid, being careful not to drip water onto the top of the cake. 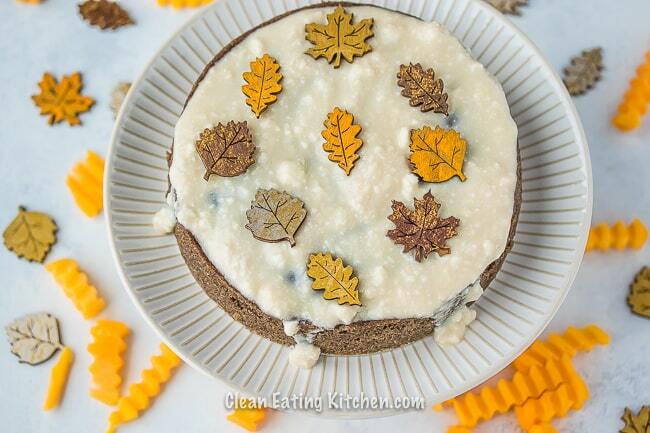 In the meantime, make the icing by placing the almond milk ricotta cheese in a small mixing bowl. Add the maple syrup and use a small whisk to blend together. Once the cake has cooled, pour over the icing and use a spatula to spread it evenly on top of the cake. Serve the cake at room temperature (refrigerate any leftovers). 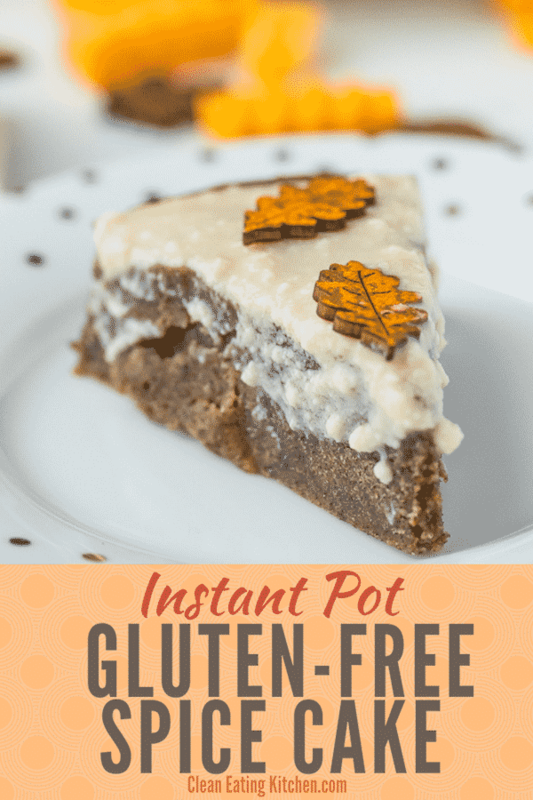 Be sure to pin this image to save this gluten-free and vegan Instant Pot Dessert recipe for later! I have made this twice already. I can’t wait to try variations next!